Catastrophe bond and related insurance-linked securities (ILS) issuance reached almost $2.5 billion in the first-quarter of 2019, as a number of new sponsors and some new perils came to market helping Q1 to an above average close. Our latest quarterly report on the catastrophe bond and related insurance-linked securities (ILS) market is available to download now. The report, ‘Q1 2019 – New sponsors and perils feature in above average Q1’, analyses an above average first-quarter which saw $2.48 billion of issuance and looks at the composition of transactions issued during the three-month period. For once Q1 failed to deliver record levels of issuance of new catastrophe bonds and related insurance-linked securities (ILS). Cat bond and related ILS issuance has grown every year since 2013, as sponsors demand for securitized and collateralized sources of reinsurance protection has grown steadily. But following the impact of recent losses, the ILS market began 2019 a little slower, as fund managers and providers of collateralized reinsurance took stock. So, for the first time since 2013, catastrophe bond and ILS issuance in the first-quarter failed to break records, although remained robust at $2.48 billion. This came from 19 transactions consisting of 27 tranches of notes, as shown in the Artemis Deal Directory. New sponsors often feature in the market in the opening quarter of the year, and 2019 was no exception. Pool Re, IAG, and the North Carolina Insurance Underwriting Association were all first-time sole sponsors of Q1 2019 catastrophe bonds. At the same time, Allstate, Arch Capital, Essent Guaranty, TransRe, UnipolSai Assicurazioni, Terra Brasis Re and Aetna all returned in Q1 2019, while a range of private deals also featured. In a market first, standalone terrorism risk featured among Q1 2019’s catastrophe bond issuance. Sponsored by Pool Re, the deal brought $97 million of UK terrorism risk to market. UnipolSai Assicurazioni sponsored a $51 million Italian multi-peril deal, another first for the industry, while IAG’s first cat bond provided $54 million of Australia and New Zealand catastrophe reinsurance protection. The North Carolina Insurance Underwriting Association’s $450 million deal brought North Carolina named storm and severe thunderstorm risk to market for the first time as a solo deal and peril. Despite the catastrophe activity of the last two years and the fact Q1 issuance declined year-on-year, continued, outright market growth shows that both investor and sponsor market appetite for catastrophe bonds and related ILS remains. 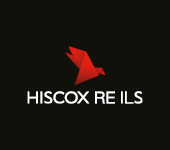 However, the rise of mortgage ILS deals was again evident in Q1 2019. Absent the inclusion of mortgage ILS deals, at $1.65 billion, issuance of pure catastrophe bonds would actually have fallen below the ten-year average for the first quarter. This reflects the slowdown seen in catastrophe markets as reinsurance capital providers come to terms with recent losses and issuers, in particular reinsurance firms seeking retrocession, took a step back to reassess their protection arrangements. As a result, we expect some issuance to come to market in future quarter that has been delayed and missed Q1. As of the end of Q1 2019, at $37.6 billion, the outstanding catastrophe bond and ILS market has grown by $4.8 billion in just one year. According to Artemis’ deal data, approximately $1.75 billion of transactions are scheduled for maturity in the second-quarter of 2019. However, Q2 catastrophe bond and ILS issuance over the last decade has averaged more than $3.3 billion, suggesting there is a good chance that the market will continue to expand in the first-half of 2019. Stay tuned to Artemis as we move through the rest of 2019 and we’ll keep you updated as the catastrophe bond market continues to evolve and expand. 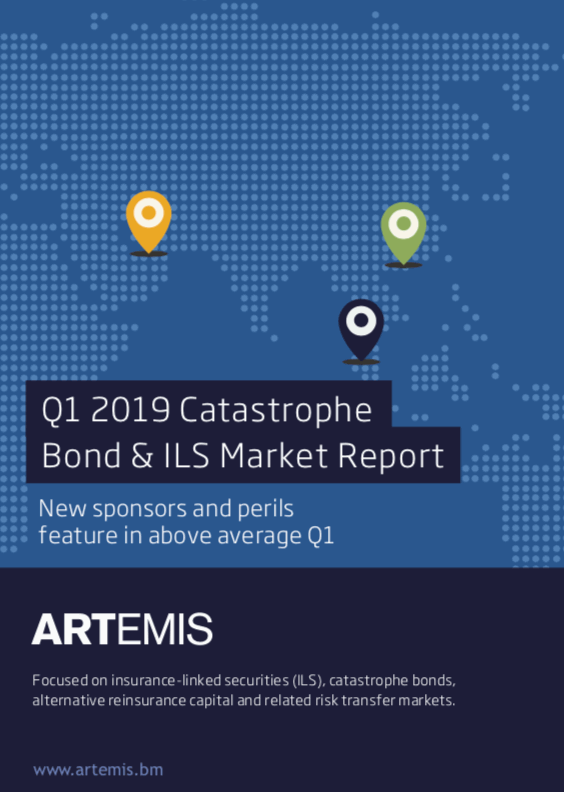 For full details of the record first-quarter of 2019, including a breakdown of cat bond issuance by factors such as perils, triggers, expected loss, and pricing, as well as analysis of the issuance trends by month and year, download your free copy of Artemis’ Q1 2019 Cat Bond & ILS Market Report here. For copies of all our catastrophe bond market reports, visit our archive page and download them all.